Regardless of whether Congress agrees to act on Trump’s proposals, one casualty of the past few years of legal and political churn is clear: faith in our democratic institutions of government. As President Donald Trump delivered his State of the Union address Tuesday, he looked out into a crowd that included the faces of undocumented immigrants who had been brought to the U.S. as children. Their presence highlighted the enormous control that the president holds over their fates. Notably, however, nothing in the Constitution expressly gives the president control over immigration. Instead, the Constitution grants Congress the power to set rules of naturalization, and it has been interpreted to allow Congress to enact immigration rules as well. So why were all eyes on the president Tuesday as he outlined his plans for immigration reform? Because despite Congress’ power over immigration, the story of the Dreamers over the past 16 years has been one of congressional inaction. And just like in so many other areas — ranging from climate change to fair pay — Congress’ political paralysis has led to a suboptimal result: Shifting executive branch policies, rather than a more stable legislative solution. 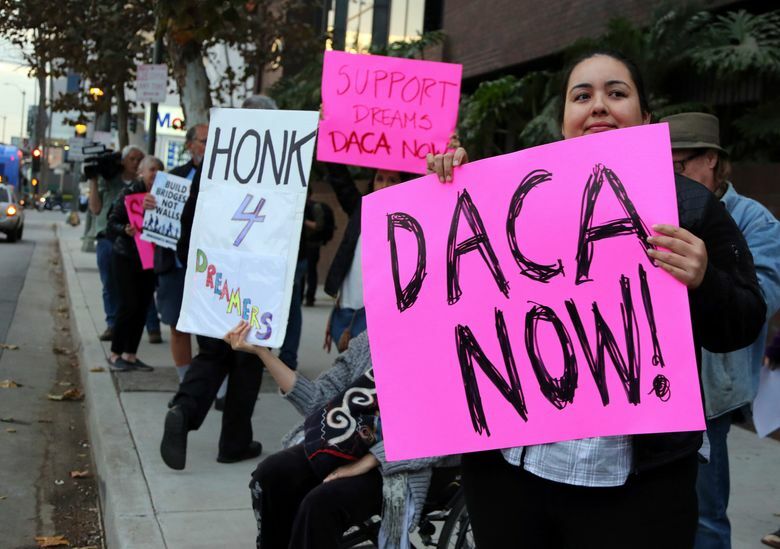 These policy changes have created significant uncertainty for the Dreamers, along with ongoing legal battles that have pulled the judicial branch of government into the fray. None of this has served our democracy well. 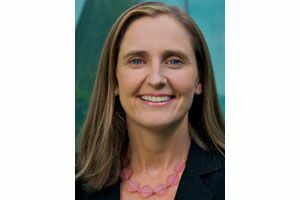 Kathryn A. Watts is the Jack R. MacDonald Endowed Chair at the University of Washington School of Law. She is co-author of “The Limits of Presidential Power: A Citizen’s Guide to the Law.” Her opinions do not represent those of the University of Washington. Back in 2012, the Obama administration first implemented a policy called Deferred Action for Childhood Arrivals, or DACA. Even as Obama argued that this policy fell within his administration’s pre-existing legal powers, he stressed the need for Congress to act. But Congress proved unable to overcome its infighting, and critics of deferred action turned to the courts. And after the Supreme Court reached a tie in the case, the fate of DACA lay with President Trump, who in September 2017 announced its repeal. It is too early to predict how the courts will resolve the legal challenges against Trump’s DACA repeal. It is also too soon to know whether Congress will pass legislation to provide Dreamers with citizenship (something the president legally cannot do alone). However, in his State of the Union address, Trump sketched out four pillars of immigration reform, offering insights into how he proposes the nation move forward. Regardless of whether Congress agrees to act on Trump’s proposals, one casualty of the past few years of legal and political churn is already clear: faith in our democratic institutions of government. When members of Congress allow young people’s lives to serve as political bargaining chips — instead of acting in a deliberative manner — Congress’ institutional legitimacy suffers. When shifting executive branch policies leave young peoples’ futures hanging in the balance, the executive’s legitimacy suffers. And when courts are asked to mediate hot-button issues that are best resolved by Congress, the judiciary’s legitimacy suffers. This is not the picture of a healthy government. For our democracy to function, Congress must do its job. Those who drafted our Constitution expected that Congress — not the president, not the judiciary — would take the lead on setting major national policies. On immigration, this means that Congress must come together in a bipartisan manner to take the Dreamers’ fates out of the president’s and the judiciary’s hands — and to provide Dreamers with a legislative solution.